Have a holiday of a lifetime trying heart pumping activities such as skydiving, white water rafting, bungee jumping and 4x4 off roading. If relaxation is more your thing, spend your time going on amazing scenic walks, relaxing at a spa or being wined and dined in the city. 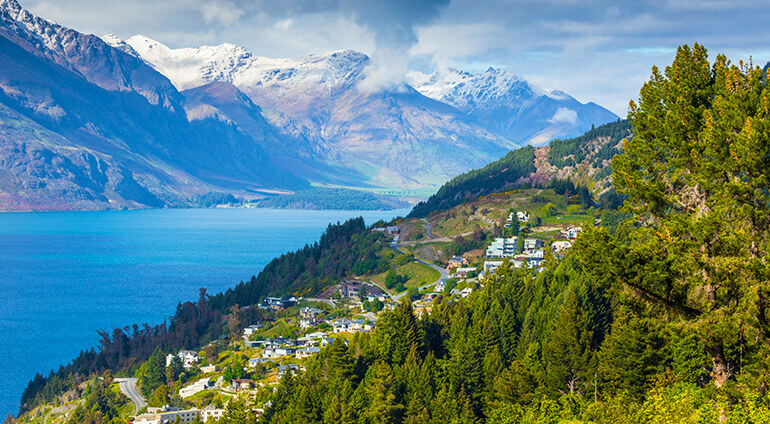 Queenstown looks like a quaint town, picturesque but venture into the centre and you will discover it is in fact a city with so much to offer. The city is surrounded by stunning mountains and is also close to Lake Wakatipu, giving it a picture perfect backdrop. Queenstown also offers excellent golf, rolling vineyards where you can go on wine tours and a growing art scene. Book a trip to this thrilling and beautiful city to discover all the amazing experiences it has to offer.